If Provinces/States were cars, what Province/State would be what car? 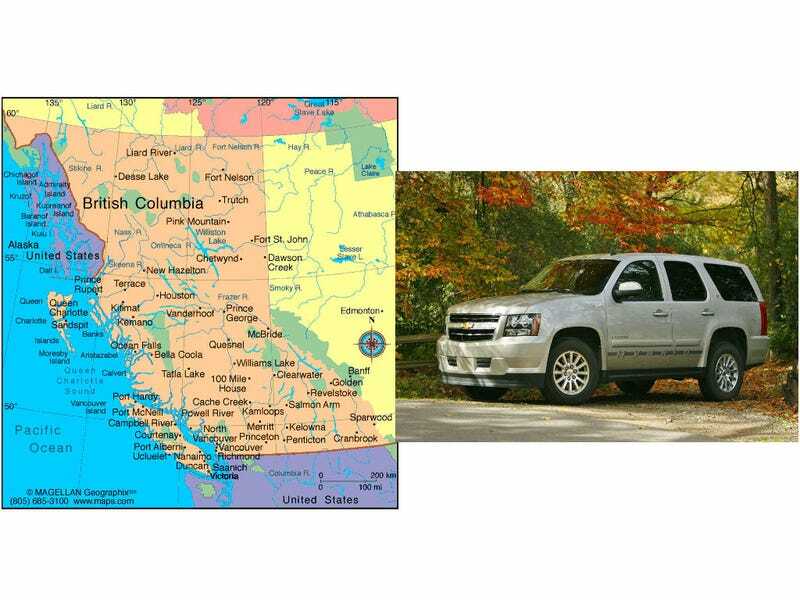 I saw a Tahoe Hybrid today, and it was on BC plates. I really think that’s the most quintesentially BC car ever made. “Eco friendly”, while having 4WD and being sufficiently expensive for all those people who can actually afford to live somewhere like Vancouver. So, what province/state would be what car?